Pirates are well-known for their love of rum and other spirits, and now the modern pirate can enjoy these ancient beverages in a whole new way! We carry a fantastic array of oak barrels and aging spirits for you to home-brew your own rum, whiskey, or other spirit of choice. For the beginner, you will find bootleg kits that are perfect for getting started, while more experienced brewers can enjoy a wide variety of different wood barrels to fit your personal taste and sizing requirements. We provide a number of flavoring essences, as well as barrel cleaning kits and cleaning tablets to ensure that your oak barrels stay clean and sanitary. Many of these wooden barrels also show off engraved designs, making them unique decorations to showcase in your home. 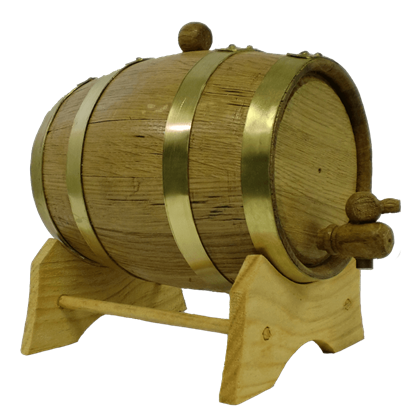 Our oak barrels are perfect for the full time re-enactor who likes to do things the old way. These barrels are handcrafted from American White Oak and have black steel hoops. The barrel holds approximately 1 liter. Our oak barrels are perfect for the full time re-enactor who likes to do things the old way. These barrels are handcrafted from American White Oak and have brass metal hoops. The barrel holds approximately 1 liter. Our oak barrels are perfect for the full time re-enactor who likes to do things the old way. These barrels are handcrafted from American White Oak and have steel hoops. The barrel holds approximately 1 liter. 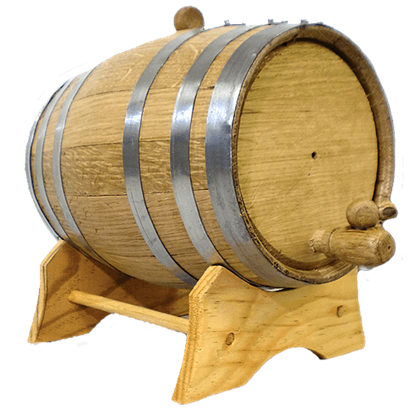 Our oak barrels are perfect for the full time re-enactor who likes to do things the old way. These barrels are handcrafted from American White Oak and have black steel hoops. 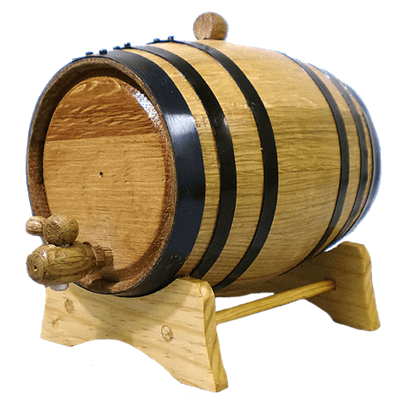 The barrel holds approximately 10 liters. 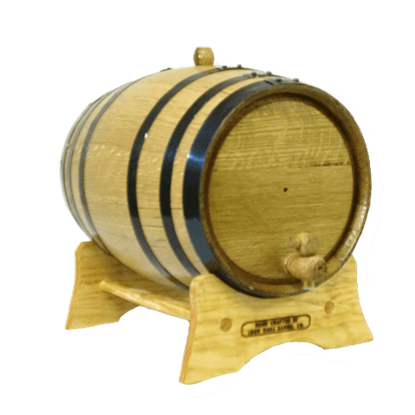 Our oak barrels are perfect for the full time re-enactor who likes to do things the old way. These barrels are handcrafted from American White Oak and have brass metal hoops. The barrel holds approximately 10 liters. 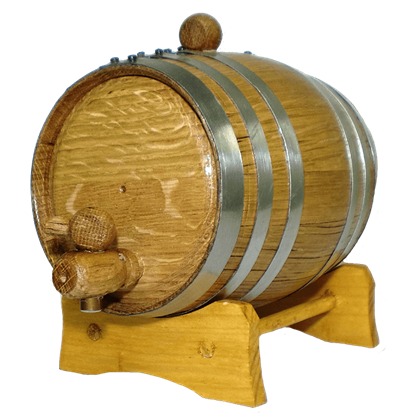 Our oak barrels are perfect for the full time re-enactor who likes to do things the old way. These barrels are handcrafted from American White Oak and have steel hoops. The barrel holds approximately 10 liters. Our oak barrels are perfect for the full time re-enactor who likes to do things the old way. These barrels are handcrafted from American White Oak and have black steel hoops. The barrel holds approximately 2 liters. 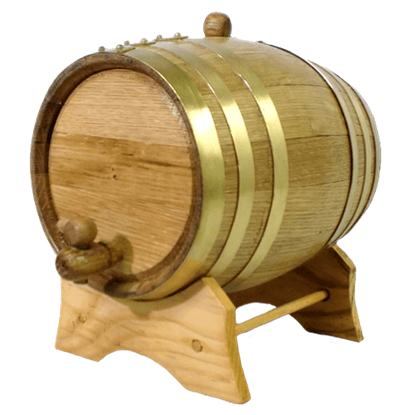 Our oak barrels are perfect for the full time re-enactor who likes to do things the old way. These barrels are handcrafted from American White Oak and have brass metal hoops. The barrel holds approximately 2 liters. 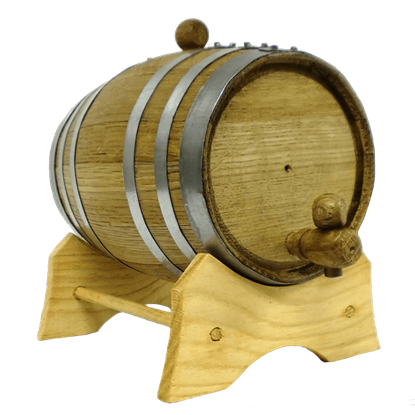 Our oak barrels are perfect for the full time re-enactor who likes to do things the old way. These barrels are handcrafted from American White Oak and have steel hoops. The barrel holds approximately 2 liters. Our oak barrels are perfect for the full time re-enactor who likes to do things the old way. These barrels are handcrafted from American White Oak and have black steel hoops. The barrel holds approximately 5 liters. Our oak barrels are perfect for the full time re-enactor who likes to do things the old way. These barrels are handcrafted from American White Oak and have brass metal hoops. The barrel holds approximately 5 liters. 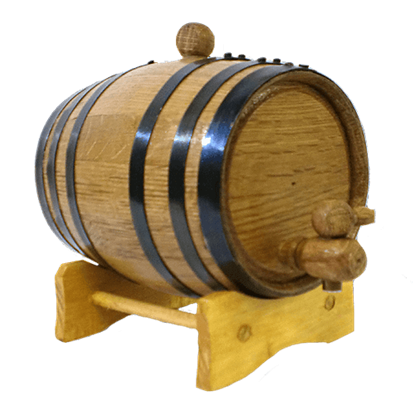 Our oak barrels are perfect for the full time re-enactor who likes to do things the old way. These barrels are handcrafted from American White Oak and have steel hoops. The barrel holds approximately 5 liters.